Hitler came to power January 30, 1933, from this moment begins the countdown of days before the world catastrophe that broke out on 1 September 1939. How the Germans managed to control a country of fanatic, which brought millions of people in sacrifice to their mad ideas? After the first world war the Kaiser's government in Germany was overthrown in the period from 1919 to 1933 in Germany established a liberal democratic regime, but there is nothing surprising in the fact that democracy in a moment gave way to a dictatorship. In the political life of the Weimar Republic (the so-called Germany of this period) there were a lot of problems, compounded by the postwar economic collapse and then a world economic crisis of 1929. By the early 30-ies in the German Parliament is practically no representatives of democratic parties, and the election of 1932, won by Hitler's national socialists, they did not have absolute majority, but the strongest party in the country they have become. They could withstand the Communist party of Germany, but means the Soviet Union has given unequivocal instructions not to fight the Nazi party, including Hitler's ally. At the end of 1932, Hitler demanded that President Hindenburg appoint him Chancellor. 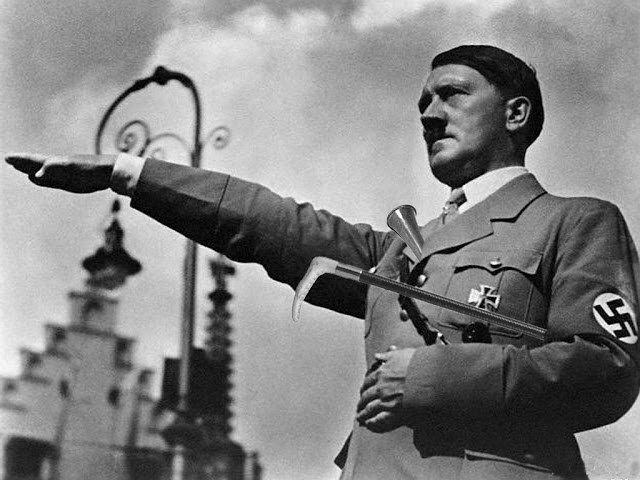 It is known that Hitler found evidence of financial fraud with subsidies dealt with by the son of the Hindenburg. This information did not come to the light, the Hindenburg had to appoint Hitler Chancellor. The President highly disliked Hitler, but was hoping to use his party for their own purposes. Thus, Hitler came to power quite legally, since the appointment of the Chancellor and the leader of the largest party in full compliance with the Constitution. While Hitler never used people's love, as it was considered during the third Reich, and not seized power, as was assumed after the collapse of Nazi Germany. The financial elite of the country, actively supporting the Hitler hoped to use this fanatic for their own purposes. Simple people who did not vote for Hitler simply did not believe that such a person linger long in power. But after becoming Chancellor, Hitler showed everyone how wrong they were: now the elite danced to his tune, and the silent majority in a matter of months was intimidated unfolded from terror. Just a few weeks after the appointment of Hitler Chancellor of Germany abolished the freedom of Assembly and freedom of the press, and then was deprived of power by the Parliament, disbanded the unions, the fly was banned all parties except the Nazi party began the persecution of the Jews, opened the first camps for political prisoners. The level of unemployment in the country plummeted and people, to finally get economic stability, was at first not mind losing for the sake of some civil liberties. In 1934, died President Hindenburg, his job was abolished, and Adolf Hitler became the absolute ruler of Germany, assumed the title of Fuhrer.